How to Find Scholarships for the College Degree? The college education is getting expensive every year. It has become difficult for students and parents to bear the expenses of professional education. This is why students and parents are always looking for financial grants either in the form of scholarships or monetary grants. Though both of them provide funds for student education, they differ from each other. Financial grants are allocated to students who can’t afford to pay their college fee. In contrast to that scholarships are given on merit basis. Students can also earn them after fulfilling or exceeding specified standards decided by the sponsor. 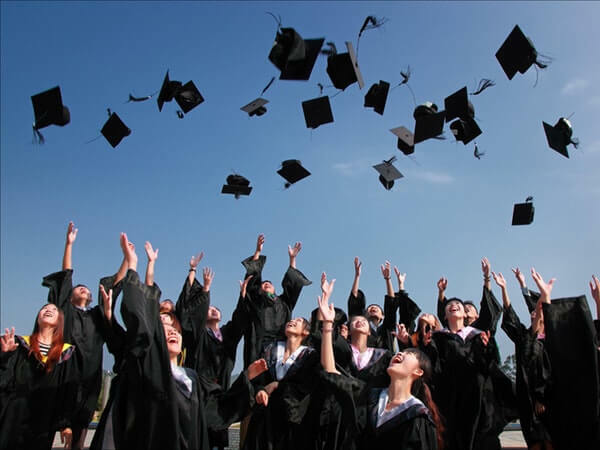 Merits based rewards are given on academic achievements or combination of academic and special athletics talent, extracurricular activities and the basis of geographic location, financial needs, and career goals. Though finding a suitable Saudi Arabia scholarship is no longer difficult; students are advised to follow few essential steps to select the most suitable grant for them successfully. You may directly visit their website or call the office to inquire about the qualifications and application procedures. It will help you to decide whether you are fulfilling the prerequisites for the financial rewards offered by an institution. Don’t mix standard admission with scholarships. Both are separate processes with a different deadline. In fact, institutions often ask applicants to submit scholarship application before regular admission forms. Good grades and test scores significantly increase your chances to get accepted for reward. If you are serious about obtaining financial help for college degree funding, you will need to ask it from an academic advisor. The respective person must know about the scholarships that are good for you. Most of the schools and colleges have a person at their office that is capable of guiding students regarding suitable financial aids and careers. Don’t underestimate the importance of obtaining word of mouth information from your gathering. No matter whether you belong to a local chapter of a national club or your parent is a member of civic groups, or they work in a large organization? Ask other people or officials of these groups regarding any grants they may know. It’s possible you may come to know about local scholarship with less competition. Web and internet are the excellent sources to find information from the comfort of your own. When you search for a scholarship, remain specific as much as you can. If you type the word scholarship in the search box, it will show you thousands of results. Instead, you should type search with a relevant search term like the area of study, geographical region or name of the institution if you have any preferences. Remember not to pay any money during the investigation process. Sponsors don’t charge money from candidates. They offer financial aid to those who fulfill the criteria. The deadline for scholarships is different from standard admissions. They can be either offered before summer, during fall season or even in spring. It’s your responsibility to maintain a complete record of these deadlines to avoid missing the closing date. Late applications are rejected. Once your application is denied due to delay, you can’t re-apply for the same grant in the same season. You should plan it to avoid this inconvenience. Endnote: Some Saudi Arabia scholarships are offered for helping students from individuals, private companies, and nonprofit/social organizations. All you need is to do a thorough search to find the most suitable grant meeting your requirements.